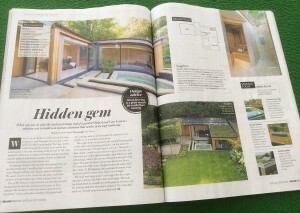 An installation of SunSeeker UltraSlim Doors has been featured in Grand Designs “the official magazine of the hit TV series” as part of a Garden Room project in North London. Our clients built a leisure complex which includes a gym, a sauna and a tranquil seating area where the garden was rarely used because it was shaded and dank. 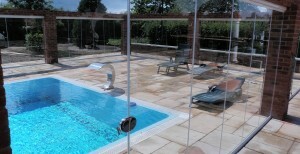 As an innovative designer and developer of glass doors, SunSeeker Doors has been ahead of its field for a number of years, manufacturing Slimline aluminium framed bi folding doors in the UK in 2003, introducing Frameless Glass Doors in 2009, double-glazed frameless in 2010 followed by the launch of UltraSlim slide-pivot patio doors in time for Spring 2011! The decision to buy patio doors is often a lengthy process; not just because of the four-figure investment but because it is often part of a larger building project. It is hardly surprising, then, that it has taken four years of installing our UltraSlim Doors to finally achieve recognition in the media! 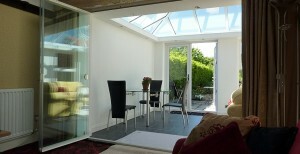 Bi Folding Doors and UltraSlim Sliding/Pivot Doors are fully retractable systems, meaning that they open to the sides of the ‘hole in the wall’ for maximum access between home and garden or between rooms. Please take a look at the UltraSlim images in our gallery.